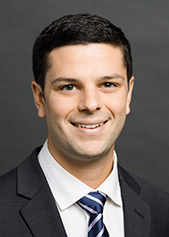 John Augelli is a law clerk in Cadwalader’s Intellectual Property Group. John received his J.D. from Brooklyn Law School, where he was a member of the Brooklyn Law Review and Moot Court Honor Society, and earned his B.S. in Electrical and Computer Engineering from Lafayette College. Prior to law school, John worked as a product development engineer for Amphenol Corporation.